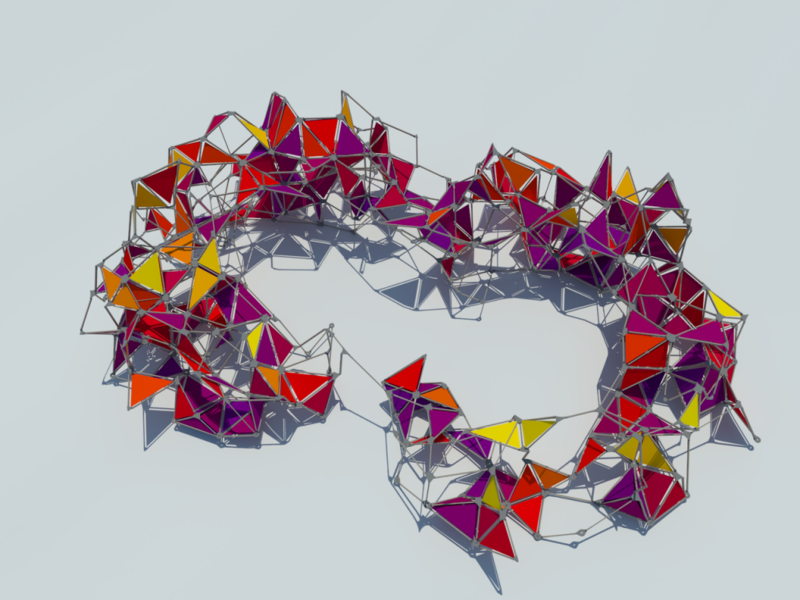 Developed as a thesis project by architecture students Michael Jeffers and Jordan Parsons, Recursionism is an exploratory, research-based critique of computation in a design environment. For Recursionism, Jeffers and Parsons created a “computational toolkit” which allowed them to explore the relationship between code and material. 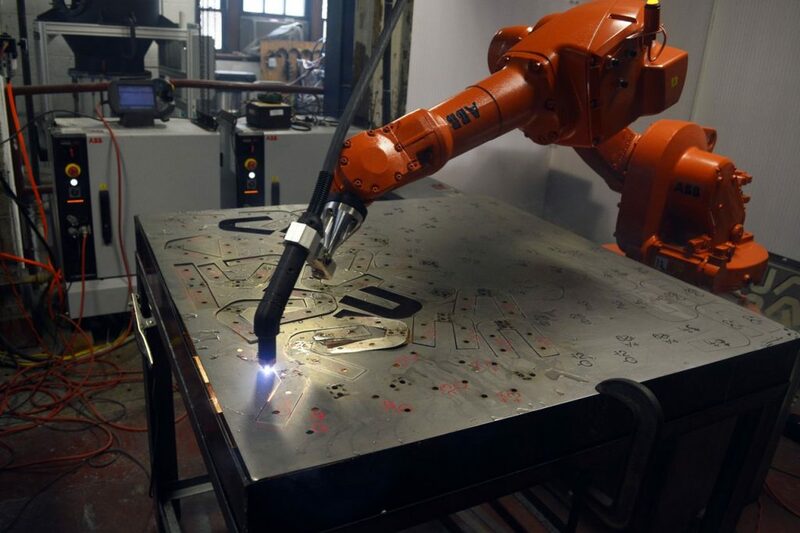 The toolkit consisted of custom pieces of software designed to test, shape, and collect data on fabrication materials, construction processes, machining, and assembly constraints. 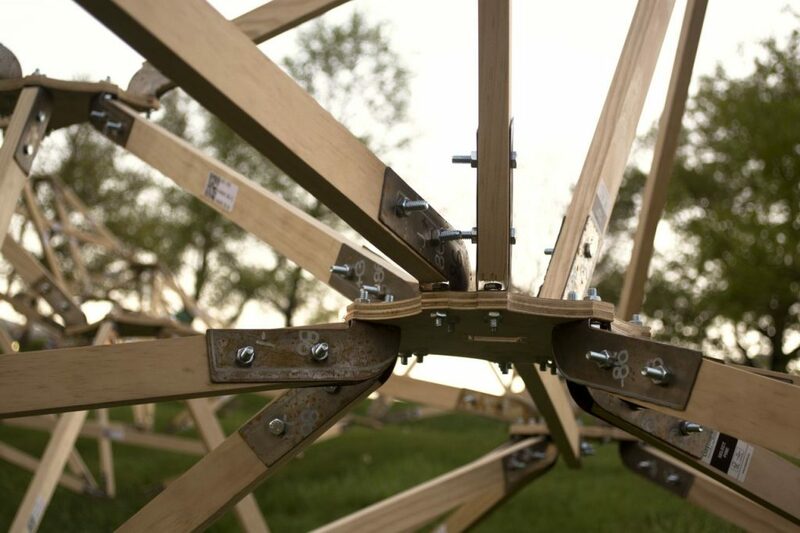 The final assembly — a massive web of inter-connected nodes — was designed and constructed with the aid of the toolkit and several volunteers who assembled the complex structure from individual fabricated pieces. A final presentation and flyer for the project are linked here. 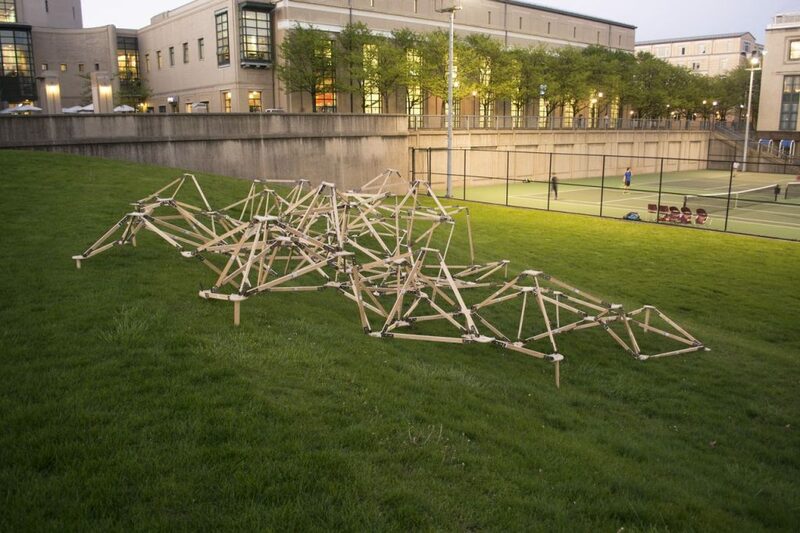 Recursionism was supported by a grant from the Frank-Ratchye Fund for Art @ the Frontier (FRFAF)— an endowment founded to encourage the creation of innovative artworks by the faculty, students and staff of Carnegie Mellon University. With this fund, the STUDIO seeks to develop a cache of groundbreaking projects created at CMU — works that can be described as “thinking at the edges” of the intersection of disciplines. 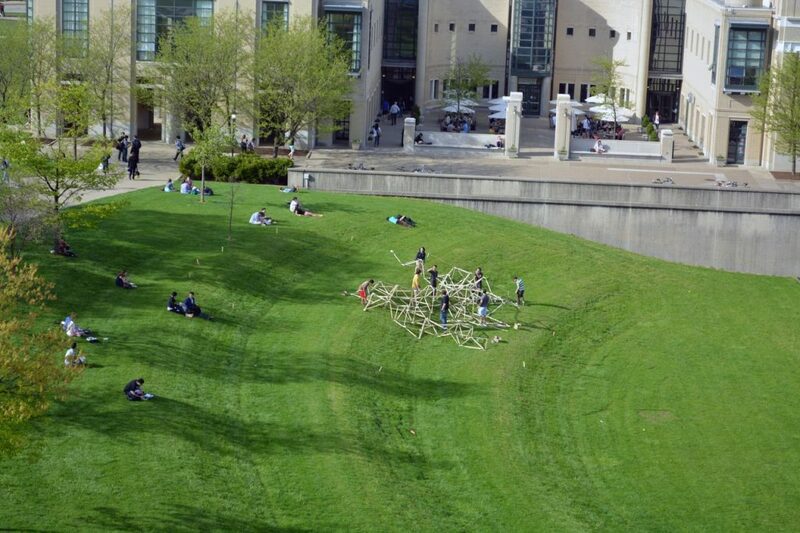 Michael Jeffers and Jordan Parsons are students in the BArch program at Carnegie Mellon University.